UltraShape is the first and only FDA-cleared, non-invasive body-shaping procedure that uses focused, pulsed ultrasound for selective fat-cell destruction. It's not like anything out there. Unlike liposuction, UltraShape is non-surgical, which means no incisions, anesthetics, or recovery time. And unlike other fat-reduction procedures that use heat or freeze fat, UltraShape is painless* and leaves no visible signs of treatment. So you can hit the doctor's office, then hit your yoga class in a cropped top the same day. 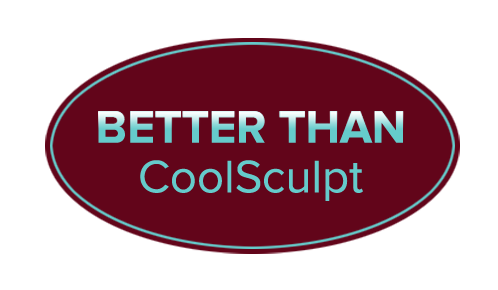 All you're left with are smooth, contoured results, often seen as quickly as 2 weeks after the first treatment. No wonder UltraShape has a RealSelf rating of over 90%. 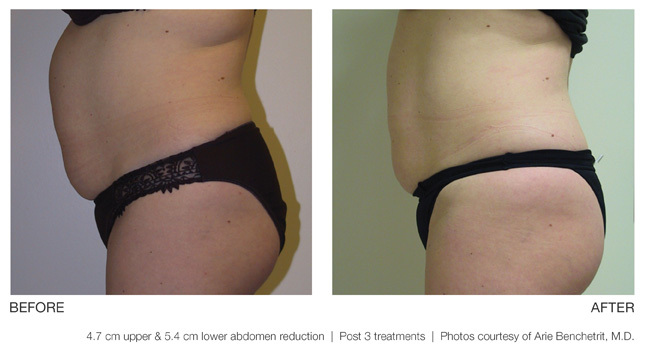 UltraShape eliminates fat cells permanently. It differs from weight loss, which can only shrink fat cells. What UltraShape won't do is cause you pain or harm surrounding tissue, nerves, or muscle. No wonder a clinical study showed 94% of people treated were satisfied with their results. Tell that to your personal torturer... er, trainer. Talk about next-wave technology. UltraShape ultrasound energy destroys the walls of fat cells in your body, releasing the fat in the form of triglycerides. The triglycerides are then processed through the liver and eliminated from the body naturally. The surrounding tissue, nerves, and muscle are left unharmed. *Most people experience no pain; however, individual results may vary. 1. Hector Leal-Silva, M.D. ASLMS, 2008.